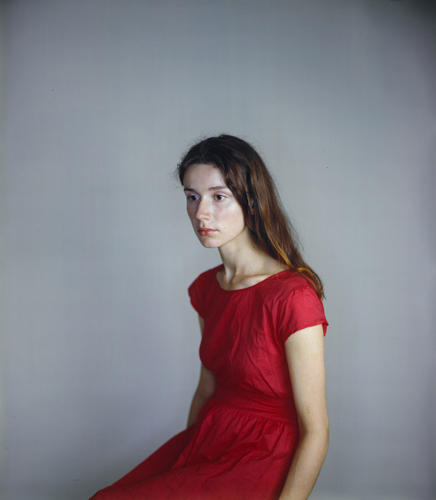 Following the success of his first exhibition in New York two years ago, the English photographer RICHARD LEAROYD will open a show of new works titled ‘Portraits and Figures’ at the MCKEE GALLERY, 745 Fifth Avenue, NEW YORK on FRIDAY, SEPTEMBER 30, 2011, at 6 pm. Mr. Learoyd’s large-scale, unique photographs are achieved through his mastery of the camera obscura technique. His studio, a single room in which the subject, the lens, the Ilfochrome film, the artist, the lights and the darkroom occupy most of the space, becomes, in effect, the camera itself. ‘Portraits and Figures’ reflects Learoyd’s ongoing interest in the power and beauty revealed in the faces and bodies of ordinary people. His subjects are casual acquaintances whom he meets through friends or on the street, enabling him to keep an artistic distance. His preference for intimate detail gives his work a biting clarity, revealing the true reality of our everyday existence and a beauty inherent in every individual. He meticulously controls every aspect of their presentation: the clothing, the lighting, the angles, sometimes spending hours or days achieving a satisfactory image. There is no manipulation of the image after the photograph is taken. Inevitably one recognizes an affinity with European portrait painting of the 18th and 19th centuries, where fidelity to acute observation gives a subtle psychological insight into the sitters. Richard Learoyd was born in 1966 in Nelson, Lancashire, England. He studied under the American photographer Thomas Joshua Cooper at the Glasgow School of Art, Scotland, graduating in 1990. He lives in London. 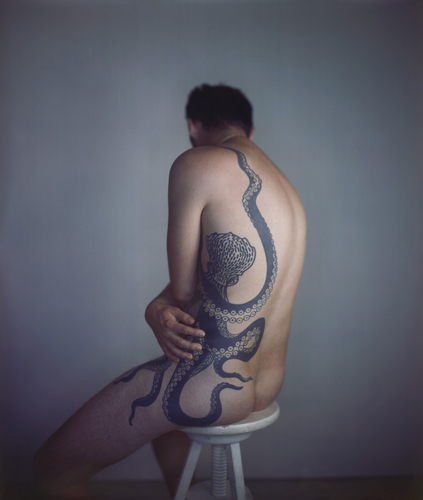 His work was exhibited in 2009 at the International Center for Photography, New York, in the show ‘Dress Codes,’ and was shown earlier this year at the Pilara Collection, Pier 24 in San Francisco. Learoyd’s work will be included in an exhibition next year at the National Gallery, London, titled ‘Painting/Photography/Past and Present,’ curated by Chris Riopelle, Curator of Post 1800 Art at the National Gallery, London and Hope Kingsley, Curator of the Wilson Center of Photography, London. His work is in the following collections: the San Francisco Museum of Modern Art, the Metropolitan Museum, New York, the Nelson Atkins Museum, Kansas City; Yale University Art Gallery, the Victoria and Albert Museum, London. A catalogue of the exhibition will be available, with an essay by Mark Alice Durant.